Four months into its release, Windows 10 is doing alright, and despite some hiccups, we think it’s about time to upgrade. Here then are ten reasons you might consider making the leap, if you haven’t already. Windows 8, with its two disparate interfaces – the new-fangled Start Screen and the venerable desktop – caused great confusion, and all but the most determined users were ever able to find peace with it. In many cases, users simply held off on upgrading or reverted to Windows 7. After all, Windows 8 really didn’t offer any compelling advantage over its older, but wildly popular sibling, except maybe a slightly improved desktop experience. At this point, Windows 8 is destined to share a place in history along with Vista (which isn’t as bad as being lumped in there with Windows ME). Windows 10 is a a refreshing mix of the best things from Windows 8 while returning to the spirit of Windows 7, and will apparently end up being Microsoft’s last operating system release. Thus, without further ado, here are ten reasons we think you should finally upgrade. The Start Screen is Dead, Long Live the Start Screen! Windows 8’s foray into the Start screen was, for all intents and purposes, a failure. Still, compared to the old Windows Start feature, the Start menu, the Start screen was at least a break from the same old same old. We understand, go ahead and let your Start screen hate flow. 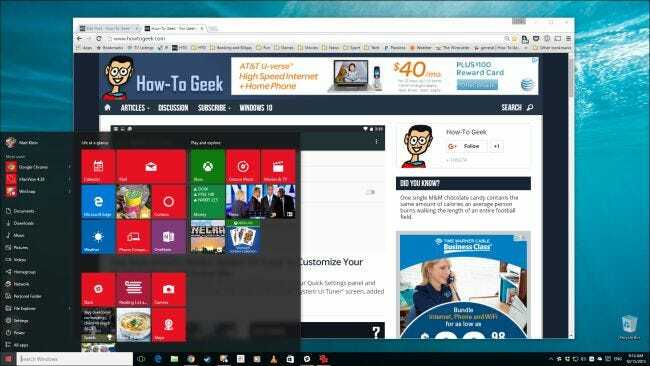 Windows 10’s solution is to combine the Start screen and Start menu. It’s a pretty good compromise. 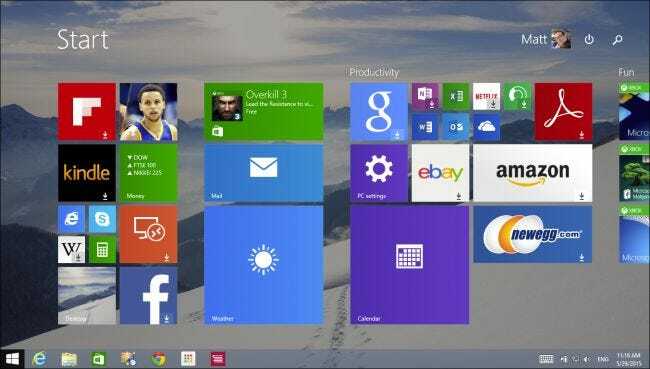 It retains Windows 8’s modern style while restoring the Start menu’s essential functionality and familiarity. The new Start menu is colorful, resizable, and ultimately configurable. Best of all, you’re not stuck in one mode or the other, if you use a touchscreen or simply prefer the old Windows 8 style, you can still use the new Start menu in full-screen or tablet mode. 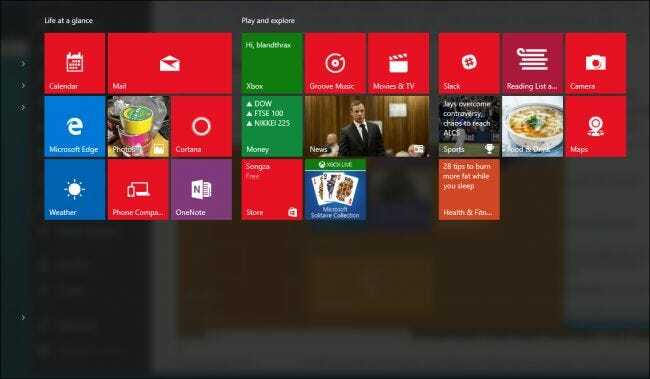 Whether Microsoft’s new Start menu is the big hit we all think it will be, remains to be seen. The Windows-using masses are likely to embrace it, but it’s still going to take time to win the hearts of everyone. The Control Panel, which has remained more or less the same since Windows 95 is also changing, and that’s really more of a revolution than evolution. The Control Panel is a staid part of old Windows, and over the years has grown unwieldy under the sheer weight of its own importance. The new “Settings” are definitely a breath of fresh air. They’re not so much different than the “PC settings” found in Windows 8 except they’re gaining more prominence and more of the Control Panel’s responsibilities. 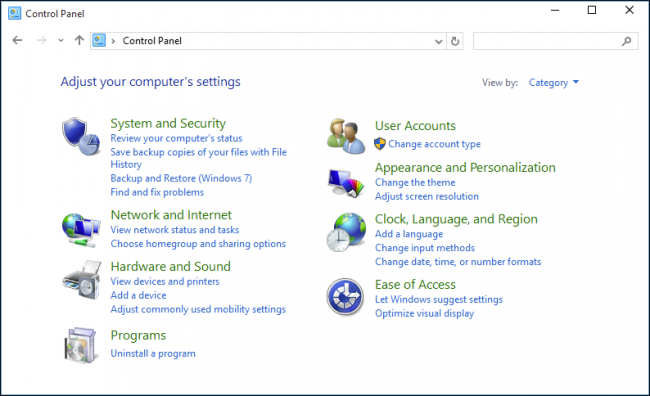 Once Microsoft has completed this overhaul, you should expect to control the computer completely with the new settings. It might be premature to say that the actual Control Panel will die out in the very near term, but the writing is certainly on the wall for it. What operating system, mobile or desktop, doesn’t have a notification center feature by now? Windows, that’s who, but that has changed with Windows 10. The new Action Center replaces the much-loathed “Charms” (yes, the Charms are finally gone) and also provides a quick way to access system settings. Granted, a notification center on Windows may seem pretty ho-hum, but this is the first time the system will actually consolidate notifications into one single location, meaning you won’t miss any more messages and important alerts. 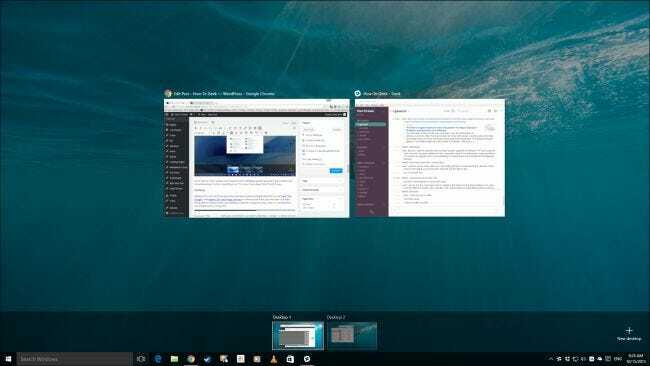 Windows 10 will also be the first version of Windows that will sport multiple desktop workspaces or as they’re often more commonly known, virtual desktops. Linux distros, OS X, pretty much anyone with a desktop operating system that matters has virtual desktops. So this is exciting in an “it’s more than about time” kind of way. Cortana is billed as a Windows virtual personal assistant. Maybe this is one of those eye-rollers because Android already does this so well with “Ok Google” and Apple’s Siri has things covered on iPhone and iPads, but the idea of at least being able to interact with your desktop computer using only your voice is a concept that has eluded PC users for a long time. Cortana first appeared on the Windows Phone platform but Microsoft is now migrating it over to its flagship OS. 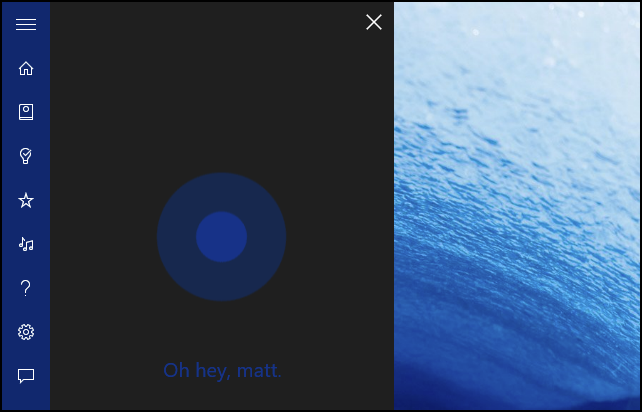 We’ve covered how to use and configure Cortana if you’re thinking about trying it out for yourself. There are reports that Microsoft is bringing back Aero, news which was celebrated by Windows 7 users everywhere. To be honest, Windows 10 has a significant uptick in transparent effects, but it’s still too early to say for certain whether Aero will ever return in full. Still, the return of at least some transparencies is a sign that Microsoft is finally starting to relate to its user base in more meaningful ways. One of the biggest problems Windows 8 introduced was the fact that Microsoft basically removed most of the stuff that people actually liked and used in Windows 7 – the Start menu, the Start button, glass-like transparent effects – so the fact that Windows 10 now appears to have partly embraced its Windows 7 roots is promising. Here’s one of those things that might have missed all but the most serious Windows followers. Windows 10 will feature not only a smaller installation size, but also incorporates a more efficient compression algorithm, meaning your files will be smaller (1.5 to 2.6 GB, depending on your version), so you’ll be able to store more of them in the same amount of space. Microsoft says it has been able to thus far shave 4 GB to 12 GB off of Windows 10’s installation size, and with today’s modern processors dripping with power, feel it’s a great time for users to start using compression. Since your computer is probably more than well-equipped to handle the little bit of extra CPU overhead compression requires, you end up with more storage space for your buck, and who doesn’t want more room on their hard drives? Direct X 12 is the most significant improvement in Microsoft’s venerable gaming API since probably the introduction of Direct X itself. RELATED: What is Direct X 12 and Why is it Important? The main goal of Direct X 12 is to reduce driver overhead, meaning that gamers will likely experience better performance on their existing hardware, which is another thing – if your graphics card is fairly recent but not bleeding edge new, you will still be able to use Direct X 12, that is to say, you will probably not have to upgrade one of the most expensive components in your computer. 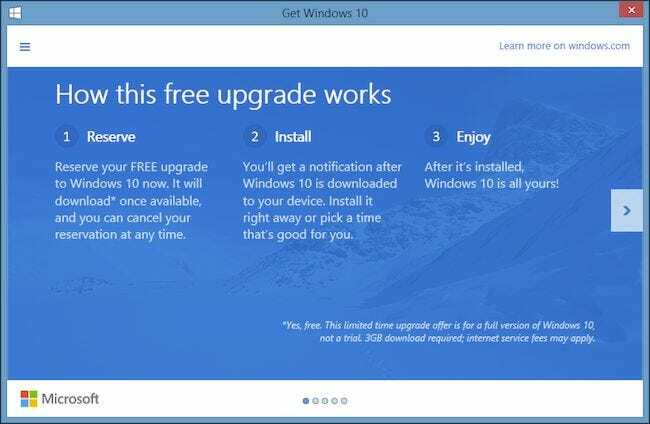 Despite the recent annoyances we’ve had with the Windows 10 upgrade application and tray icon, the fact that Windows 10 will be a free upgrade for existing Windows users is a big step forward for Microsoft. It’s essential that Microsoft get Windows 10 installed on as many Windows computers – past, present, and future – as possible. If this is to be last big, mainstream Windows release, as some are predicting, then we can assume that at some point in the future, nearly everyone will be using it. There are other things happening that are gaining attention such as the new Edge browser, intended to replace the aging, much maligned Internet Explorer; improved performance on older hardware; and a new, improved Windows Store and app experience. The Windows Store now sports a cleaner, more streamlined interface. Moreover, once Microsoft perfects its Continuum feature, it means that you will be able to seamlessly transition from a keyboard/mouse setup to a touch one or even use your Windows Phone like a computer. Thus, if you use a hybrid device like a Surface, then when you detach it from its base or keyboard, it will automatically switch to full-screen tablet mode, and vice versa. Microsoft has further plans to take this a step further with Windows Phone, which will be able to dock with a keyboard, mouse, and display, making it an ultra portable but powerful computer. For those still wondering how to upgrade, we have a number of articles you can peruse, such as if you’re planning on moving from Windows 7 or Windows 8. If you would like to do clean install, we can help you out with that as well. If you’re excited about Windows 10 or think it’s just a load of empty hype, let us know. Got a comment, question, or observation you want to share? Leave your feedback in our discussion forum.